Help us provide medical and nutritional assistance to some of the poorest children in the world. Help the children of Haiti. Our single, and URGENT goal is to promote the health and welfare of children in Haiti. This year we will help the lives of more than 2000 Haitian children and their families. 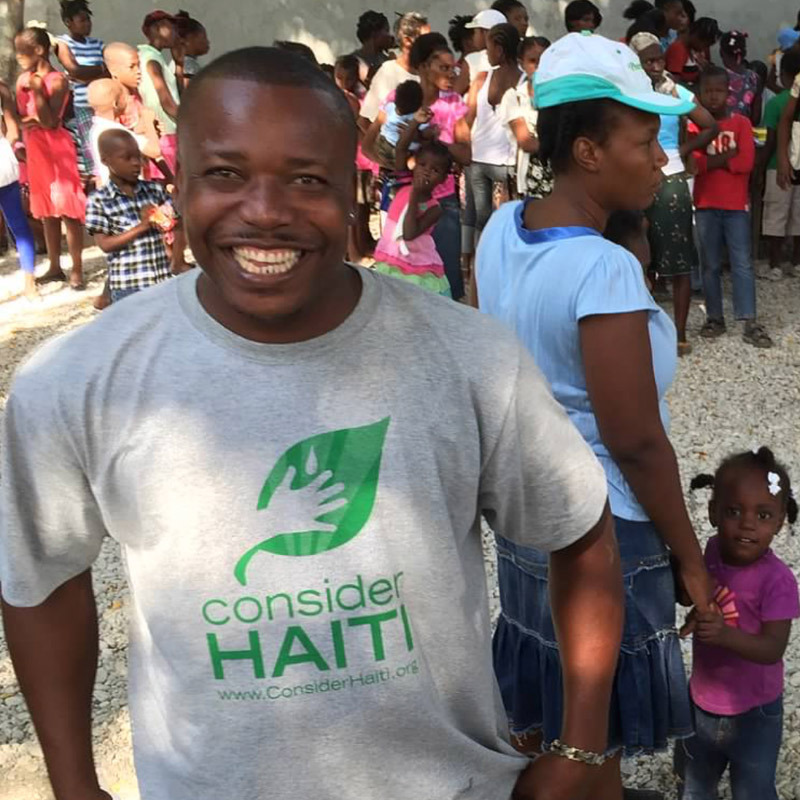 Over the years Consider Haiti has worked to develop interconnected, self-sustaining programs within the Haitian infrastructure. We actively support local Haitian teams for implementation. With the help of teams of volunteers and the local support of our generous donors from Asheville and around the United States, Consider Haiti continues to promote the health and welfare of the children of Haiti, one child at a time. This program involves the distribution of goats, rabbits, and other agricultural products to impoverished families along with instructions on how to use these resources to build sustainable sources of food and income. We work closely with the families in the Community Health Program to ensure that they receive the gift of a female goat ready to be bred with a male goat provided by Consider Haiti or male and female rabbits ready to produce offspring. We routinely organize and send teams of medical volunteers to Haiti to provide medical care. These teams provide week‐long clinics for Haitian children. In the mountain villages where we hold pediatric clinics, we are typically the only healthcare these children receive each year. More than a thousand children are seen during each of these medical trips! All trip participants pay their own airfare, room, and board. We are always looking for help! We have big dreams and plans for our programs and will remain true to our core mission— to create awareness of the Haitian children's struggles and to provide local resources needed to address their problems. However, maintaining funding for our programs is an ongoing battle. Our work is ongoing and we need your help to continue helping thousands of kids. Would you consider buying a goat? NUTRITION: Goat’s milk is a sustainable source of calcium, protein, and other essential nutrients. ECONOMIC STABILITY: A single goat can provide ongoing resources for an entire family. By selling any extra milk or baby goats, our families are able to earn money for medicines and other necessities. EDUCATION: Many families have been able to sell their goats at the start of the school year to fund their children’s educations. We are happy to support these families and their local schools through our efforts.